There are few things more rewarding than having friends compliment you on something you've made yourself - particularly when there is alcohol involved and they've not had to pay a penny! 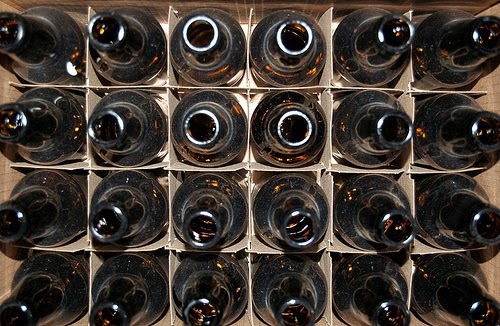 Beer bottles at the ready people, we're talking home brew! Nowadays we associate the idea of beer with big breweries, famous brands, small craft breweries, nights out on the tiles and cheap pints at down the local. With words like 'recession' and 'credit crunch' being thrown around left, right and centre, it's all about saving the pennies, and home brew is an affordable way to get litres of beer on the cheap. Now, tell me you're not interested? Some would argue that beer is the world's oldest beverage brewed in the household, and many would agree that the art of homebrewing is even more popular now than ever before. At its simplest, beer has just four components; Yeast, Malt, Water, Hops. The ratio of the ingredients in the brew will determine what style of beer you end up with. There are so many types of home brew kits available, so where do you start? The home brew enthusiast will no doubt experiment with different styles until they find one they like, but there are a few common styles which you'll spot on shelves in-store at supermarkets, homey shops, some hardware stores and specialised home-brew retailers. Like any good hobby, there's also an abundance of information about home brewing, and which kits to choose, available online - one of the joys of the 21st century is that we can all jump from novice to expert in a matter of hours! Bitter - Darker brown in colour than a lager, fairly hoppy in flavour, slightly bitter on the finish and medium alcohol content. Ale (Real Ale) - Fermented with top-fermenting yeast and served at cellar temperature, ale is the perfect balance of the best quality malt with a hoppy finish. 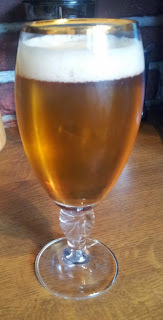 Pale Ale - Paler in colour that a Real Ale, the Pale is usually served chilled and as an accompaniment to food. Clean and refreshing, it's not too strong or too hoppy. India Pale Ale (IPA) - Stronger and fuller flavoured than a standard Pale Ale, IPA has more hops and malt and sometimes a higher alcohol content. Brown Ale - Lightly hopped and flavoured with roasted malt, it's dark brown in colour and sweeter on the palate with a long clean finish. Lager - With a longer and cooler fermentation process than ales, lager (from the German for 'to store') is pale in colour, light and slightly hoppy. Having grown up with a Dad who has 'experimented' with goodness knows how many different styles and has had a shed full of home brew for as long as I can remember, it's no surprise that I've landed on my feet with a fella who also loves home brewing. The latest brew (and I'll tell you, I've tried a few!) is simply sublime. Lord knows what the alcohol content is, so we've nicknamed this one the Doghouse....well, I'll keep you guessing as to how that name came about. Clue; if you're thinking 'too much of this pale beauty will see you in the doghouse' then you'd be right! 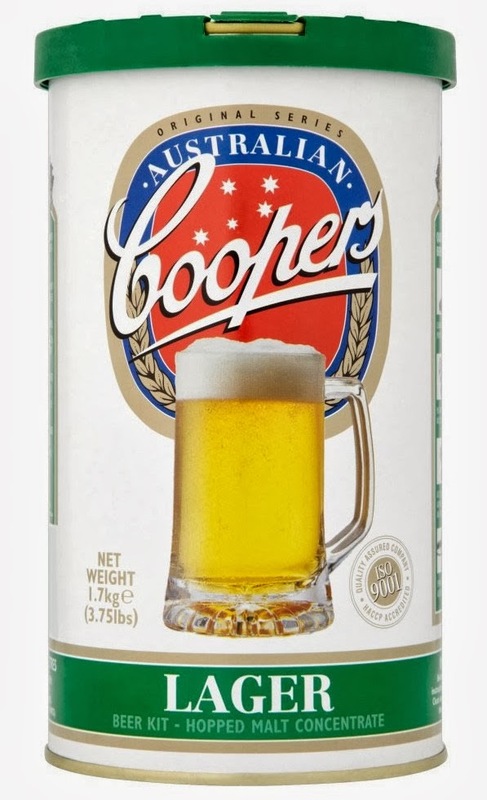 As a true blue Aussie - ok, Brit by birth and Aussie at heart (and passport) - I was excited (and surprised) to see a Coopers Lager Home Brew Kit in our local Wilkinsons. Having spent the majority of my late teens and early twenties cracking open bottle after bottle of Coopers Pale Ale and Coopers Sparkling, there was no hesitation in picking up this kit. At £14.99 for a 1.7kg kit (also available online), it's good value for money, and will brew about 23 litres. Self-confessed wino's, we've built up a collection of screw-cap 750ml wine bottles and we got about 30 bottles of lager from the brew. The process is pretty simple - dissolving brewing can contents and sugar in boiling water, adding the yeast and leaving to ferment for about a week. After this, the beer is syphoned into bottles and left to settle for a couple more weeks in a cool place. The last step is perhaps the most important and an element of patience is key. The result? Straw colour with golden hues and a smooth white head, it certainly looks the part of a classic lager. With light floral aromas its tempting even before the first sip. 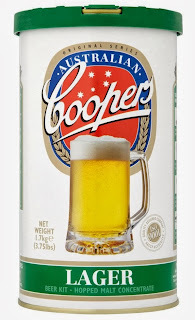 A medium bodied palate has subtle malt and hop flavours with a refreshing and clean finish. Honestly, we're chuffed to bits (the boy's done good) as it's turned out as good as a pint down the local - we challenge you to tell us it doesn't look good! We've been enjoying it on it's own, but as a lighter, refreshing style lager it would make a good match for a spicy Mexican feast - nachos with salsa, guacamole and sour cream. Or try spicy Thai-style barbequed prawns (Aussie 'shrimp on a barbie' with a twist!). With many styles to explore, this is just the start of our home-brew adventure so stay tuned for more beer tales....now, if you'll excuse me, I've got an ice cold lager to get back to. We'd love to hear from fellow home brewers - if you've got a favourite, get in touch with us via our Twitter or Facebook page and we'll challenge you to a beer-off! 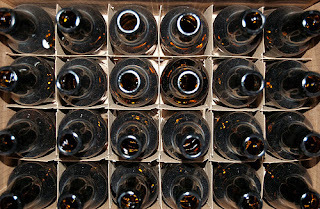 Empty beer bottles image taken from ilovebutter's photostream on Flickr under the Creative Commons license.